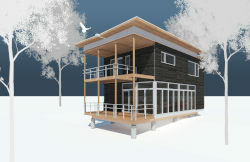 Prefab Green Cabins With Passive Solar Design: Big design, small footprint, cozy cabin but kickin' modern green homes. You love the modern prefab homes at Green Modern Kits. 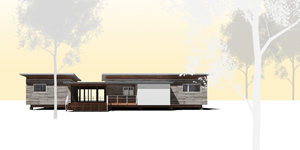 You adore our passive solar prefab cottages at Green Cottage Kits. 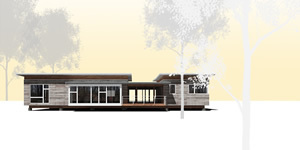 Here, we offer prefab modern cabins: passive homes designed to work. 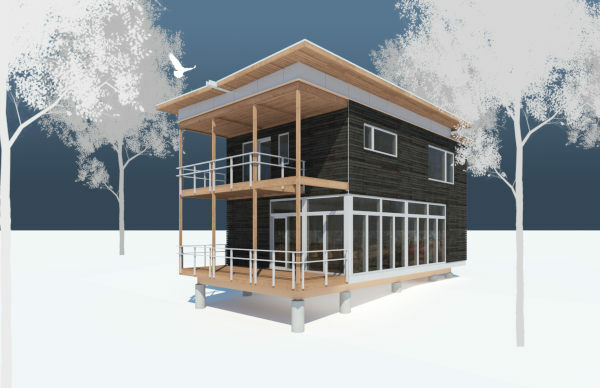 You will also find here the small footprint offerings from our prefab house kit sister sites Green Modern Kits and Green Cottage Kits. Enjoy. 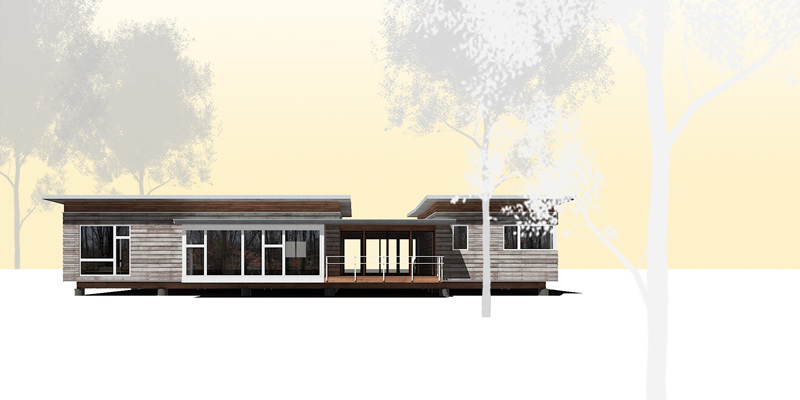 Echoing vernacular southern housing, The Dogtrot Mod modern house kit provides an affordable solution for homeowners seeking high end functional design without the means or desire to engage a designer for a completely custom project. Each kit is sold as a SIPS (Structural Insulated Panel) house kit package for the building envelope with a design document set to allow the future homeowner to finish the project with a local contractor, supporting green building skills in their community. 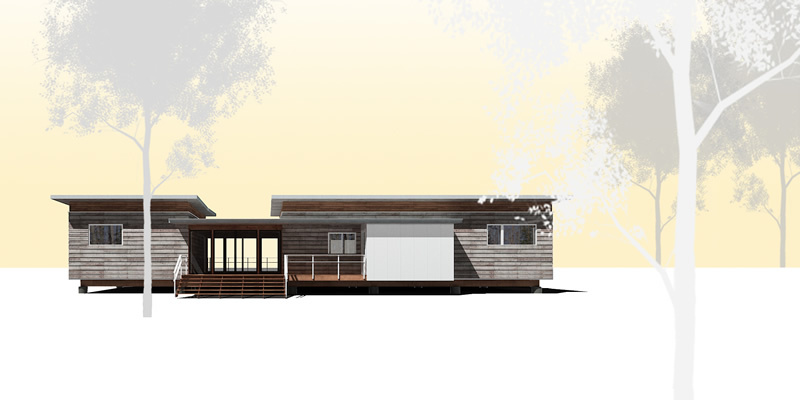 At 1,500 sf, the ‘dogtrot’ model provides ample space for a family to live large in a small footprint home. Well suited for both urban and rural sites, CornerHouse promotes passive solar heating and natural ventilation with its large veranda and glazed wall on the building's corner. Like The Dogtrot Mod, the CornerHouse cladding and roof system are integral to the building's performance, deflecting direct heat gain in the warmer months and lengthening the life span of materials through proper ventilation. In layout, an open floor plan on the first level with a shared living, dining, and kitchen space gives the interior a sense of grandeur while minimizing the building's overall footprint. Upstairs, as second porch is shared between the master bedroom and an office, which can easily be converted to a third bedroom. 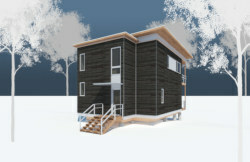 economical systems make Prefab Green Housing Affordable- We provide the kit, you finish with your contractor!